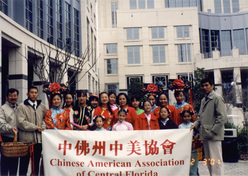 The Dance Troupe of CAACF was established by a group of enthusiastic ladies in 1980. The main goal of the organization is to promote the Chinese culture through Chinese traditional dance. The troupe has been performing the traditional dances in many multi-cultural events.